Fintech is a space that we’ve been operating in for the past eight years and a space we have observed for an even longer time. It is truly an exciting space to be in at this day and age. Years ago, subjects related to fintech and banking technology were highly esoteric. Speak to anyone outside the industry about the subject and you’ll be met with blank stares. However that is not the case today. Fintech has become such a topic of interest and this is driven largely due to demands from consumers for faster, cheaper and more efficient banking services. A quick look at google trends tells a very poignant story on how fintech is quickly becoming a big part of many people’s lives from providing banking access to marginalized societies, to creating more efficient payment ecosystems for commerce. To me is the best thing that can happen to the industry. Having consumers who are savvier and more demanding of better services will serve as the biggest drivers to the evolution of the industry for years to come. In this article, i’ll explore the fintech space within the context of Malaysia from the perspectives of regulators, banks and fintech companies. Though Tan Sri Zeti Akhtar Aziz has been largely silent on the subject of fintech, her succesor Dato’ Muhammad Bin Ibrahim who was appointed in April 2016 has been extremely vocal and proactive in the space of fintech. In his maiden speech, Dato’ Muhammad Bin Ibrahim in the month of May at GIFF 5.0 said “Fintech is challenging the status quo of the financial industry. New business models will emerge. Delivery channels will challenge existing norms. Transaction costs will be reduced. Rather than looking at the fintech revolution as unwelcoming, financial institutions ought to embrace it as an opportunity”. In that very same speech he also mentioned that 10% to 40% of overall banking revenues could be at risk by 2025 due to financial technology or fintech innovations. Having recognized the potential and risks of the sector, Dato’ Muhammad Bin Ibrahim is quick to act and in less than a month of being appointed as the Governor he announced that a regulatory framework for fintech will be ready by July 2016. The reason for the timeframe, he mentioned is so that banking institutions will have time to comment on it. In the month of June, Bank Negara Malaysia established the Financial Technology Enabler Group (FTEG) which is a cross functional group that will serve as the focal contact point on fintech related queries, which includes matters related to regulation and the adoption of fintech by the FSI sector. This group will be headed by Aznan Abdul Aziz who is currently the director of Bank Negara Malaysia’s Financial Sector Development Department. As for the month of July, Bank Negara Malaysia has issues a discussion paper on the regulatory framework, while I do have contention with several points within the framework, this is definitely a healthy direction from our regulators. Perhaps, we’ll share our views on that in the next article. MAS has proposed for a regulatory sandbox. The regulatory sandbox approach is where innovations can be placed in a “sandbox” and offered to a small test group of customers or trialed over a 6 months period to limit the consequences of failure, in doing so ensuring the stability of the financial system and at the same time enabling innovation. Singapore has signed an agreement with Australia to boost fintech trade. 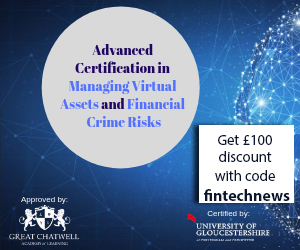 In this agreement fintech firms from both countries will be able to establish initial discussions in each other’s market faster and receive advice on required licenses, helping to reduce regulatory uncertainty and potentially, time to market. In the same month Singapore has also inked a similar deal with the Korean Government. The Monetary Authority of Singapore as a sign of leadership has mapped out a plan to make its data available through Open API’s. Following that initiative, OCBC bank became the first bank in the region to launch an Open API initiative. 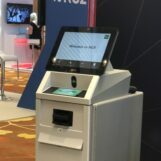 At the time of the announcement, OCBC Bank’s developer portal, Connect2OCBC, will be providing free access to four open-source APIs: The branch locator, ATM locator, smart card advisor and foreign exchange APIs. The implications of an Open API is far reaching and will massively foster collaborations between fintech and banks. While it may seem that the regulators in Singapore are several steps ahead of Malaysia in the fintech space, I for one am quite hopeful. Under the stewardship of Dato Muhammad Bin Ibrahim, Bank Negara Malaysia has been a lot more progressive when it comes to matters related to fintech. In the short few months that he has been Governor we are seeing at least one announcement per month related to the development of the sector. 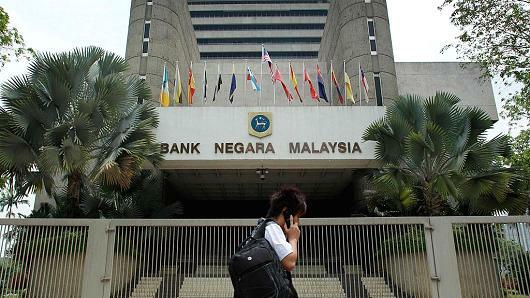 These are exciting times indeed, what direction will Bank Negara Malaysia take? 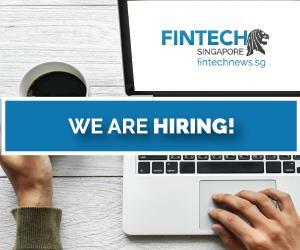 Will they appoint Aznan as a Chief Fintech Officer like Monetary Authority of Singapore did with Sopnendu? Will we also move towards open API’s? 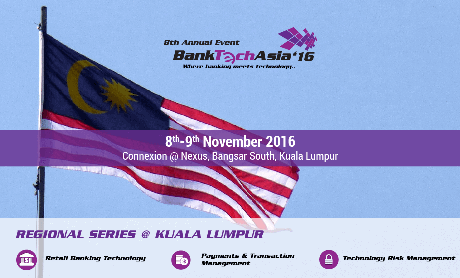 Will Bank Negara Malaysia host a Fintech Festival like Indonesia and Singapore? Are they actively gearing up for the battle to come, are they embracing fintech into their ecosystem or are they disregarding fintech as a hype? 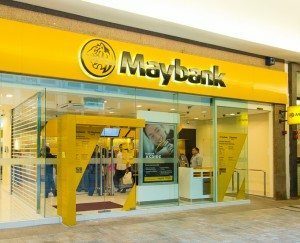 Being the largest bank in Malaysia, it is no surprise that Maybank is amongst the first few banks embracing fintech. Historically Maybank has always been quick to adopt new technology as evidenced by the fact that several years back Maybank was one of the first to implement online banking. In 2015 Maybank organised the Maybank Fintech 2015 in partnership with local VC firm L337 Ventures and over 100 technology companies from 10 countries took part in the event. In 2016 Maybank will target at least 200 companies to take part in the initiative. Maybank sees Maybank Fintech as a tremendous opportunity for themselves to harness the startups ecosystem regionally, to acquire the best innovation ideas in financial technology. 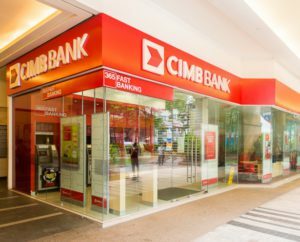 With 7.5 million customers in Malaysia alone and over 40,000 employees across the ASEAN region, CIMB bank is Malaysia’s second largest bank. CIMB launched their incubation programme known as Innochallenge in May 2015. The goal is the ideation and creation of new fintech solutions. In this programme, both CIMB and the Malaysia Digital Economy Corporation (MDeC) actively mentored the fintech startups. CIMB bank worked with Startupbootcamp in 2015 to mentor the fintech startups in Singapore on top of their Innochallenge. This partnership’s main reason is to scout for, and evaluate, new technology and ideas for the future. “One of the main reasons why we are tying up with Startupbootcamp FinTech is because CIMB has always been focused on technology.” -CIMB Group Chief Executive Officer, Zafrul Aziz. 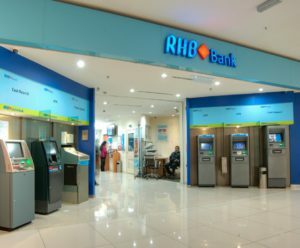 With a network of 210 branches in Malaysia and 19 across nine Asian countries, RHB Bank is the 4th largest bank in Malaysia. Through this partnership, RHB aims to bring digital innovations to the banking market in Malaysia. Here, RHB will evaluate, fund, mentor and also organise hackathons in Kuala Lumpur. Other than just working with fintech, the group will also be spending 20% of their capex this year to execute new digital strategies. 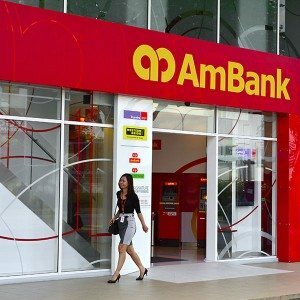 Ambank is among the top-tier banks in Malaysia, employing over 12,000 employees with a network of 175 branches. Ambank is the latest bank in Malaysia to throw their hat in the ring. The Group CEO Datuk Sulaiman Mohd Tahir was quoted saying that the inclusion of fintech towards better mobile banking, cash management and understanding customer behaviour is now becoming very important to the bank. Datuk Sulaiman also mentioned that their approach towards fintech will be through the banks current partner and shareholder ANZ. The plan to embrace fintech is reported to be ready in six months. While it is encouraging to see banks taking an active step with accelerator programmes, there has been no major announcement related to tangible results or solutions coming out of these exercises. One can only speculate that perhaps these banks are waiting for the regulatory framework to be released in July 2016 or that the products are simply not market ready. It is interesting to also note that out of the five top banks in Malaysia only Public Bank and Hong Leong Bank has not made any major announcements about their fintech play. 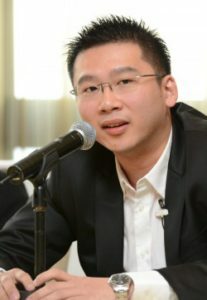 Though, Raja Teh Maimunah who is the CEO of Hong Leong Islamic and the COO of Digital Innovation and Transactional Banking has been seen actively presenting keynotes within the fintech circuit. Therefore, it is not unlikely that the bank would be influenced by her vision of fintech and make an announcement in the months to come. Whereas Public Bank’s playbook still remains unknown, the industry is skeptical if there will be any major moves from the bank, which is understandable as Public Bank has always been the more conservative player when it comes to technology despite being the most profitable bank in Malaysia. At the time of writing, only four banks have made announcements of the fintech play. The next few months will be an interesting one to observe to see who else will join the fray. Accordingly Statista, the transaction value of fintech for 2016 stands at 6265.2 Million USD. While the market size is still relatively small compared to markets from different parts of the world, there are several promising players emerging from the local market. Having done an extensive research on the startups, I have narrowed it down to 3 companies and interviewed them to get some perspectives. Neuroware is one of the few if not the only fintech player who operates within the blockchain space in Malaysia and perhaps also the first company to provide public blockchain API’s and developer toolkits in Asia. Their team has been actively speaking at conferences and conducting briefings to regulators, governmental agencies and banks, to help them understand the blockchain technology. 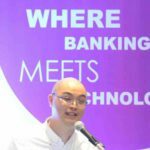 At their most recent speaking engagement at BankTech Asia Manila, their speech captured the imagination of the bankers on the possibilities blockchain technology. Another interesting thing about Neuroware is the fact that they are the only Malaysian company to graduate out of the infamous “500 startups” in Mountain View. Why we selected them: Blockchain is heralded as one of the most important innovations in the financial sector and beyond, as of January 2016 there are more than 60 banks leading financial institutions that have made statements confirming that they are actively working on blockchain projects. Riding on this wave, we believe that Neuroware is in a strategic position to take advantage of this in Asia. What we are really excited about is to see what innovative solutions that will emerge from their blockchain API. Softspace is amongst one of the earlier Malaysian players in the fintech space, their solution is simple yet elegant. They operate in the MPOS space which enables SME retailers to accept card payments. What is notable about Softspace is the fact that they are the 1st in APAC and 2nd in the world to receive an EMV certification for their MPOS solution. When asked why he felt their solution is important, Chew Soon; the Founder of Softspace shared an emotional story about what inspired him to start Softspace. 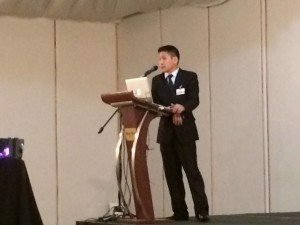 “The reason why I started this company was because of my dad, he runs a motorcycle spare parts distribution business”. He then continued with a hint of sadness in his voice. “There was one night where I went home for dinner, I saw this very sad look on my dad’s face, and I can’t remember the last time I saw him this sad. My father told me that there was this sales man that worked with him for seven years and he had not showed up for the last 4-5 days and he has collected close to a RM 100,000”. Had there been a solution that enabled his father to accept electronic payments, this situation could have been avoided. “That’s when I realized there’s something we can do” said, Chew Soon. Why we selected them: While RM 100,000 may not be a significant sum of money for larger organisations, for an SME like Chew Soon’s father the effects can be devastating. Beyond avoiding unfortunate stories like what happened to Chew Soon’s father, an MPOS solutions can also do wonders to increase the sales generated by the SME’s, by providing more payment options for their customers. On the other side of the divide, this solution helps banks to reach a previously untapped market with a cost effective solution. Softspace also has the impressive track record of working with 19 banks across the region. Despite the success Softspace is eyeing to expand their services beyond MPOS, they have laid out plans to venture into HCE and P2P lending. At first glance, the name sounds rather Japanese but the name Katsana really means “Kat Sana” which is a colloquial way of saying “It’s right there” in Malay. In essence, Katsana’s solution is a GPS solution that tracks the behavior of the drivers. Having the ability to track driver behavior can help insurance companies set their premiums based on a more accurate risk profile of their policy holders. With Katsana’s solution, insurance companies will be able to analyse the driver’s tendency to speed, brake suddenly, take sharp corners dangerously and based on that data, the insurance firm can then tailor the policy to the drivers behavior. One of the major challenges according to the founder, Fuhaqa is adoption from the consumer who are understandably concerned about privacy. When Fuhaqa was asked how his startup plans to overcome this challenge he said with a cheeky grin “Well, parents are really the group we’ll be marketing to, as parents will always want to keep their children safe and Katsana enables parents to be able to better understand the driving behavior of their children”. Another model that can be considered for Katsana would be to distribute the solution through insurance companies to quickly scale to market. Why we selected them: The de-tariffication of the general insurance industry will be coming up this year. Having spoken to many of the insurance players in the market, the general consensus is that the industry is a sleeping giant waiting to be awakened. The de-tariffication will encourage the sector to push through more innovations in efforts to remain competitive. “Averagely, on every dollar insurance companies losses roughly 71.5% on claims, we believe Katsana can solve this issue. We have two PHD holders on our team, one of which is working on predictive analytics and the other is on gamification. We believe that through the concept of gamification we can significantly reduce accidents by shaping driver behavior and as a result, lowering accident rates. Our internal studies have shown that risky behavior is reduced by 63% with our solution”. He then continued “We have a solid track record of recovering missing vehicles, in this two and a half years that we’ve been in the market, we have recovered between RM 8 million to RM 9 Million worth of stolen or lost vehicles”. With both those things combined, Fuhaqa believes that Katsana can reduce the claim loss in a meaningful way. 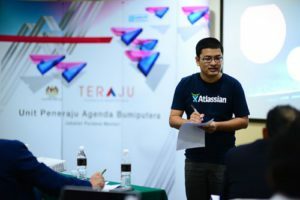 With a fintech framework in the pipeline, most major banks are working with fintech in one way or another and several promising players in the local fintech startup scene, Malaysia’s fintech space while not fully matured definitely looks hopeful. As we speak, more and more fintech startups are emerging locally. Perhaps, soon we will have even more startups to feature in an article. What are your thoughts, do you think Malaysia will rise to be a gateway for fintech in Asia Pacific or will Malaysia lose the race to some of its competitive neighbours? Nevertheless, as a fellow consumer I am sure we will all benefit from this fintech arms race. hOur company offers herbal weight loss products. Visit our health contributing portal in case you want to improve your health. Our company offers supreme quality health and related products. Look at our health contributing website in case you want to feel better. Our company provides a wide variety of non prescription products. Visit our health website in case you want to to improve your health with a help generic supplements. Our company provides supreme quality pharmacy. Take a look at our health contributing site in case you want to feel healthier. Our company offers a wide variety of non prescription products. Visit our health site in case you want to look better with a help health products. Our company provides a wide variety of non prescription drugs. Visit our health portal in case you want to strengthen your health with a help health products. Our company provides a wide variety of non prescription products. Visit our health website in case you want to feel better. Our company offers supreme quality non prescription products. Visit our health contributing website in case you want to strengthen your health. Our company offers supreme quality general health products. Look at our health contributing site in case you want to strengthen your health. Our company provides a wide variety of pills. Take a look at our health contributing portal in case you want to feel better. Our company provides a wide variety of non prescription drugs. Take a look at our health website in case you want to strengthen your health with a help generic supplements.